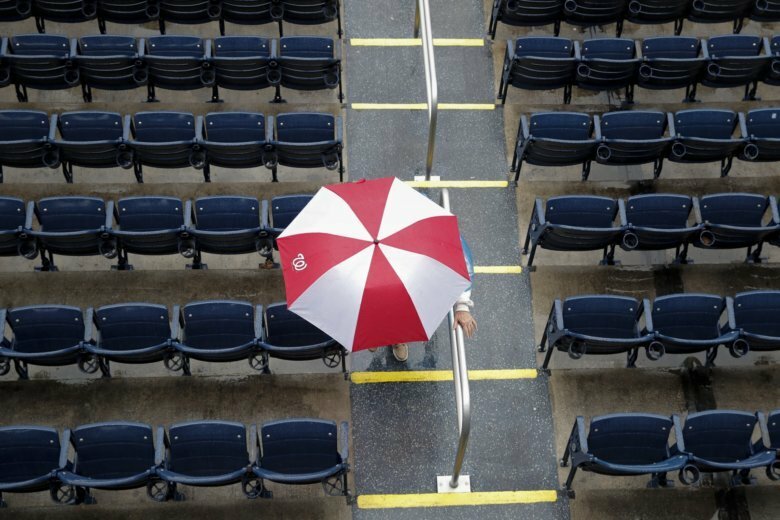 Sunday’s game between the Chicago Cubs and the Washington Nationals was postponed because of rain and rescheduled for Thursday at 4:05 p.m. 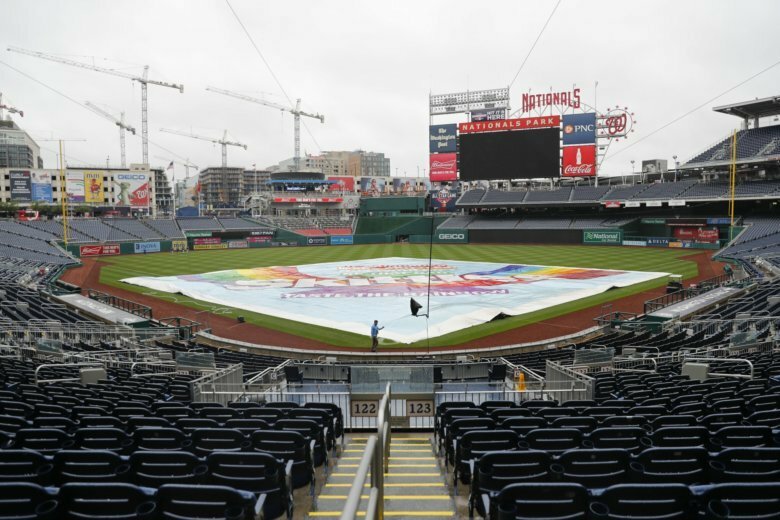 The series opener between the Los Angeles Dodgers and Washington Nationals scheduled for Friday night was washed out and a split doubleheader is planned for Saturday, with the games starting at 2:05 p.m. and 8:05 p.m.
Wednesday’s wet weather wiped out what was supposed to be a makeshift semi-doubleheader between the Washington Nationals and the New York Yankees. 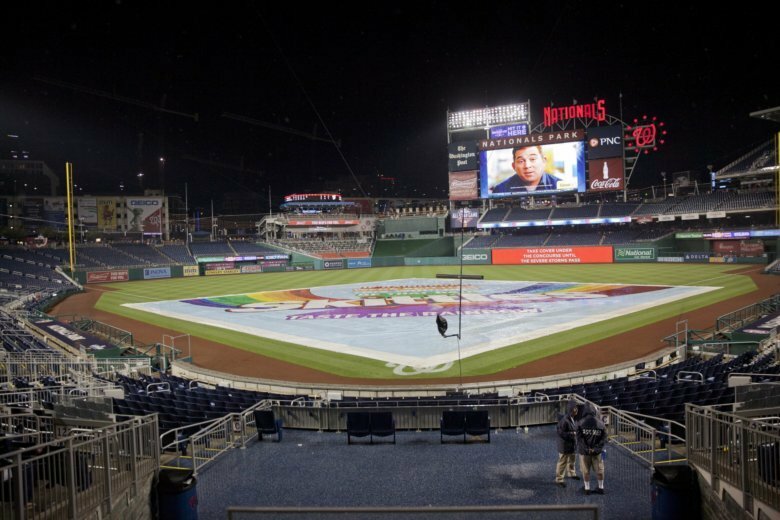 The games will be shifted to June 18. 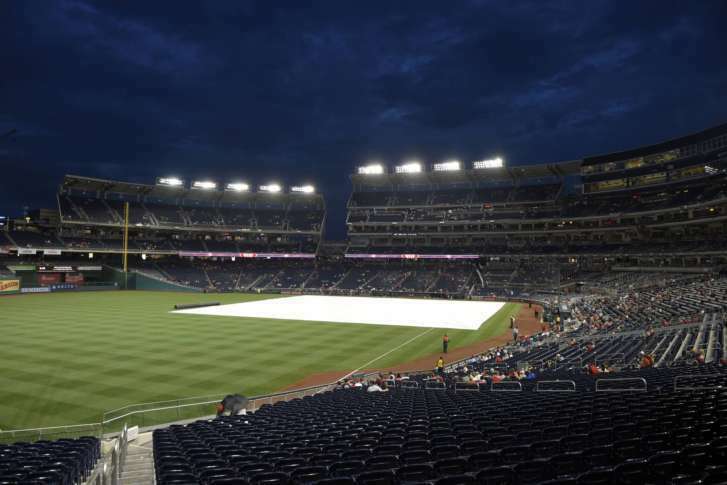 WTOP\’s Jonathan Warner discusses the Nats-Braves series over the weekend, rain delays, the ESPN ticker and sports trophies. 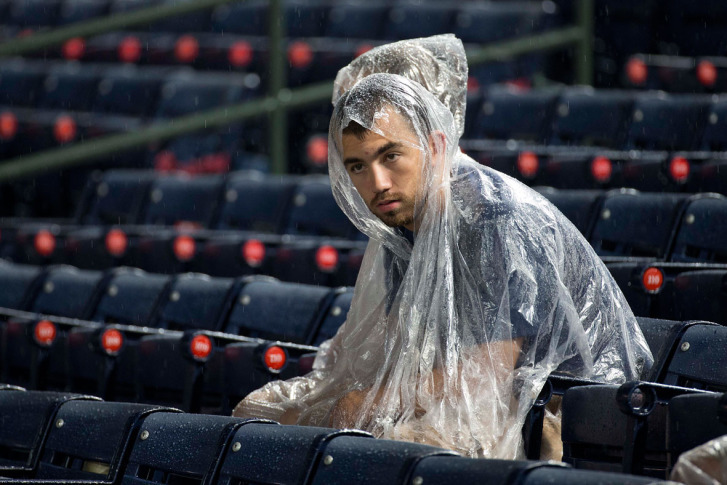 rained-out game on the rescheduled day.